Someone, please explain how this is even legal… Carpetbagger. Also, he uses a fake southern accent when talking to constituents but when he’s on CNN he has no accent. TGP: WOW! Democrat hopeful doesn’t live in District he’s running in — CAN’T VOTE TODAY! Jon Ossoff doesn’t live in the district — but wants your vote. 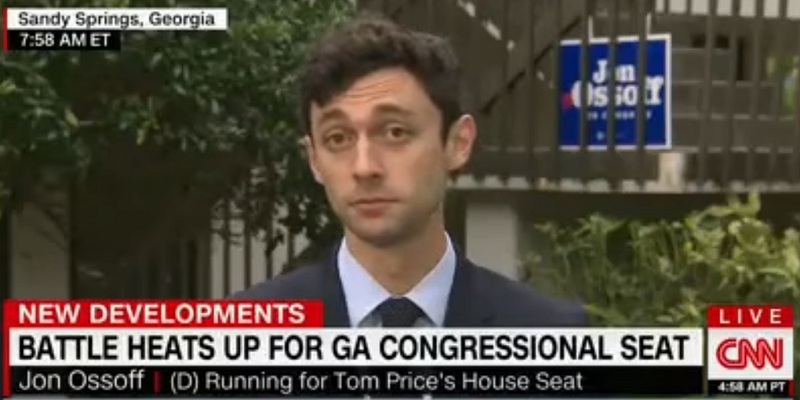 America Rising: As Georgia-6 heads to the polls today, there’s one candidate who will be noticeably absent from his local polling place: Jon Ossoff. The 30-year-old multi-millionaire doesn’t live in the district he’s trying to represent in Congress, which means he’s going to miss the traditional Election Day photo-op of him voting for himself. In an interview with CNN this morning, Ossoff was pressed twice about that fact, and could only dodge the question ineptly.